We’re excited to invite Ohio coffee lovers to join us in raising funds to build a house for a Honduran coffee worker and his family through our 10 Cents of Change campaign. 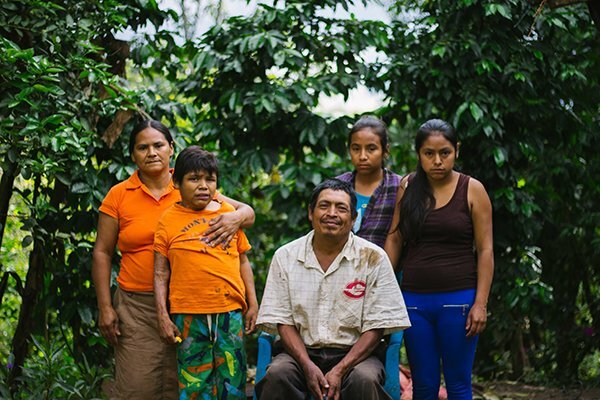 “We’re asking coffee lovers to donate a dime toward the costs of building a home for Jesús Lazo Lorenzo and his family,” said Founder and President Greg Ubert. Customers can donate their 10 cents at Crimson Cup Coffee Houses in Columbus and Tallmadge, Ohio and through participating independent coffee houses. Donations can also be made online through Serve Hope International, our in Honduras. Contributions will be accepted through December 14, when construction on the home begins. 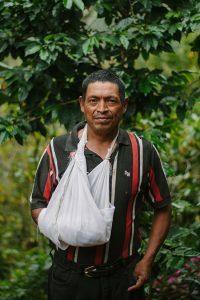 Like most coffee pickers, Lazo works long hours for relatively low wages. He and wife Adelfia Girón have had six children together, with four still living at home. After one of their sons suffered severe burns, Lazo took him to the United States for specialized medical care. Years later, the now 20-year-old son continues to struggle with severe mental and physical disabilities. Another child, born with hydrocephalus, passed away at the age of six. One hundred percent of funds donated through 10 Cents of Change will be used to purchase building supplies. On December 14, our cuppers, college students and Serve Hope International will use an estimated $3,000 in building supplies to build a home for the Lorenzo family.